Government says it will put in place strong monitoring mechanisms to ensure funds meant for floods victims in Manicaland and parts of Masvingo provinces will reach the intended beneficiaries amid reports of misappropriation of funds by relevant authorities in the past. This was said by permanent secretary in the Ministry of Information, Publicity and Broadcasting Services , Nick Mangwana on the sidelines of the swearing in ceremony of Harare Metropolitan Province Minister, Oliver Chidawu at State House today. “Sure we know there can be such cases of misappropriation of funds, but as you are aware, there are many other well-wishers and our hope is they will be systems in place for monitoring. Government has its structures and we will ensure aid reaches its intended beneficiaries,” said Mangwana. 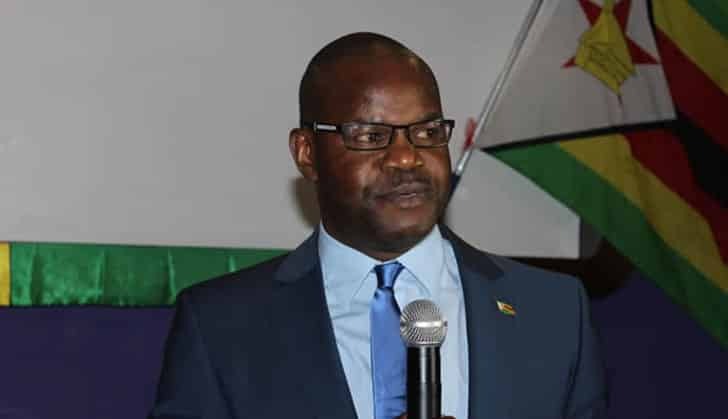 Mangwana said the death toll has risen to 89 in the affected areas, with the number of missing persons yet to be officially established as Government steps up intervention efforts. Vice-president Costantino Chiwenga is expected to visit the Manicaland capital, Mutare tomorrow to kick start coordination towards relief of the affected families. “Yes we will see the President at some point in those areas but tomorrow vice president Chiwenga will be in Manicaland, in Mutare to be particular coordinating from there,” added Mangwana. Government intervention has been somewhat snail-paced and it has been mainly attributed to shortages of readily available resources and the complexities of navigating through the flooded areas. “Our engineers have created a detour. So it means we can set up an aid facility now because earlier it was difficult to navigate past the affected areas and the convoy that was full of aid became stranded,” Mangwana said. The floods come at a time President Emmerson Mnangagwa’s administration has been at loggerheads with Non-Governmental Organisations who are usually the major benefactors in times of need. However, observers are skeptical of Government capacity to put in place strong monitoring systems to deal with misappropriation of funds to disaster ravaged areas as cases in the past have proved otherwise. In Chingwizi for instance, cases of food and other materials meant for victims of Tokwe-Mukosi floods being traded were left unchecked with allegations of Government distributing officers at the helm of massive misappropriation of resources.